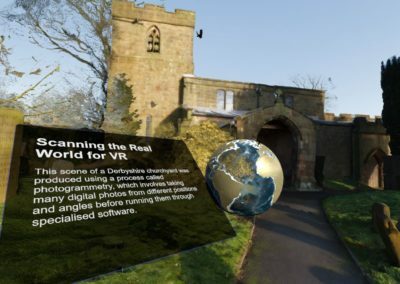 The project explored virtual reality (in the spring and summer terms of 2018) as a medium for enabling online learners to take a science field trip. 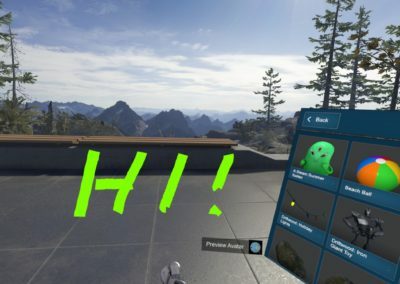 Columbia Gorge Community College (CGCC) is used a Vive headset previously purchased for another ETWG project and a laptop computer purchased for this use. There were a lot of lessons learned while researching ways of doing field trips for science in virtual reality. Each picture in this section has comments on what was learned while being immersed in the technology. 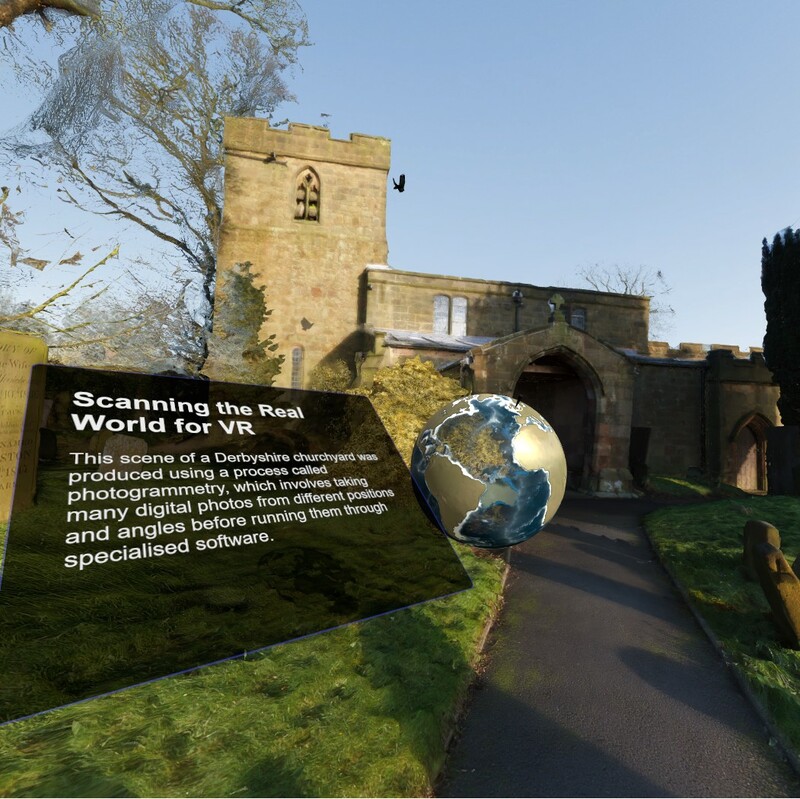 The Derbyshire churchyard is an interesting site that could be a model for science field trips, as those become available. In the process of creating this site, 450 photos were taken on location. There are a number of signs like the one pictured, that give information about both the technology used to create the site and a background on the history of the church. 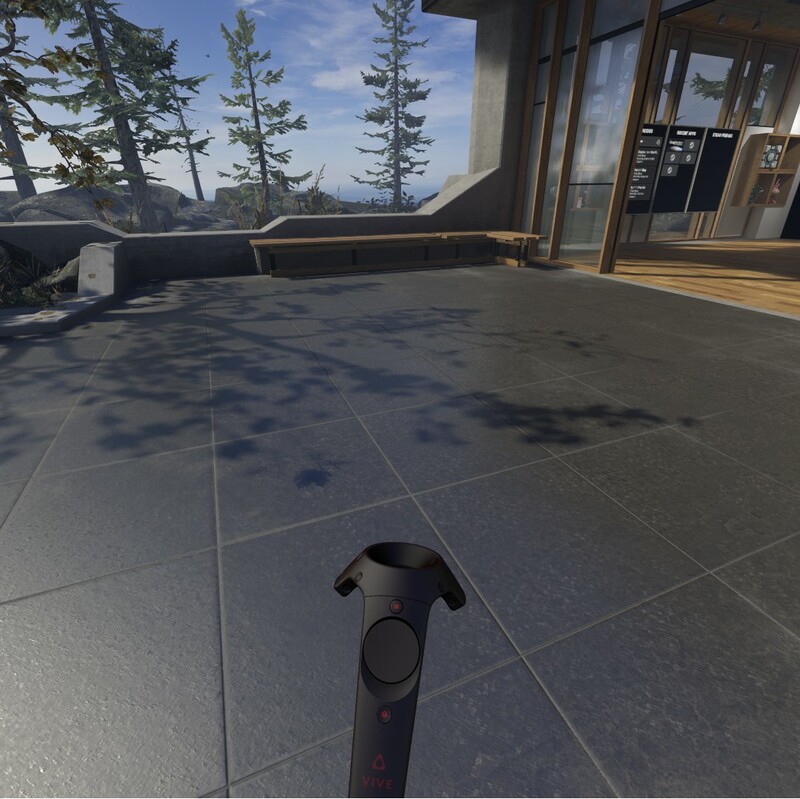 The sense of being there is enhanced by the immersive nature of the headset, complete with birds chirping in the background. This is a picture of the home pavilion area that feels similar to environments in Second Life, with the enhancement of immersion. The controllers mirror your hand movements (which is one of the most impressive aspects of the experience) and can be changed to other tools (see below). This picture illustrates the nice quality of the graphics in the project laptop. The device in the bottom of the screen is for painting in three dimensions. This aspect of the experience seems like it would be a wonderful experience for artists. The menu at the right are some objects at the home base that you can add to the environment. These “simple” objects move, make noise, and interact with the environment. This is one of the quest environments that is popular to visit. 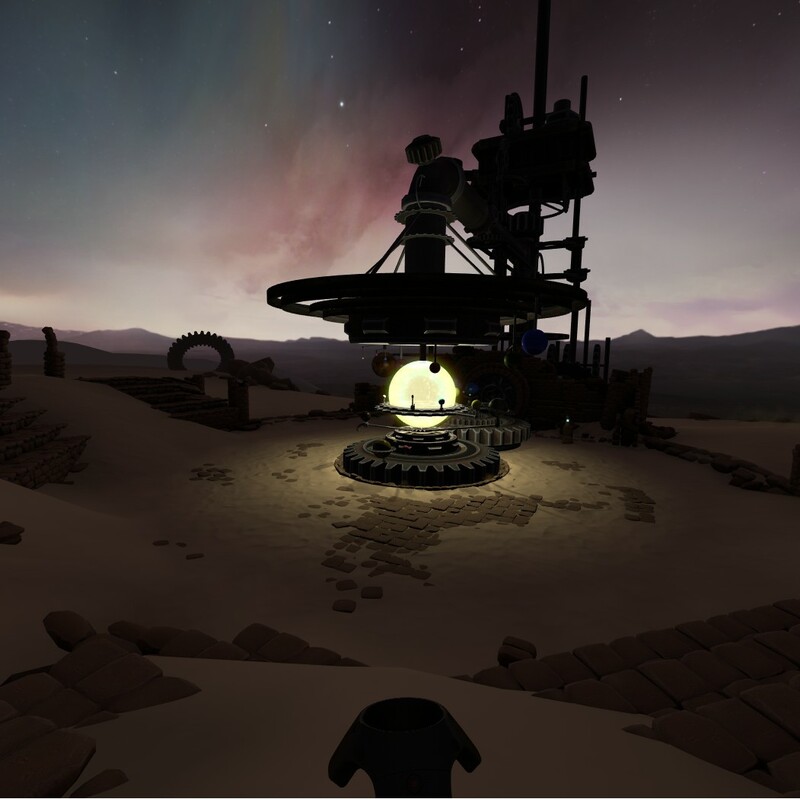 Quests may be useful in a gamified virtual environment for science field trips. 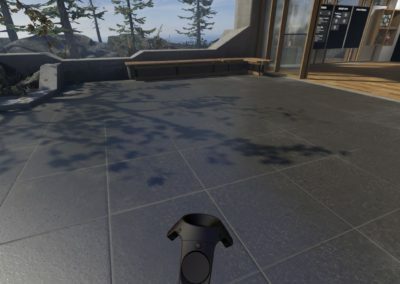 The Vive comes with the headset, two controllers, two base stations (the square things on the tripods) and various power cords and connectors. The firmware and software are rather finicky and need updating regularly. 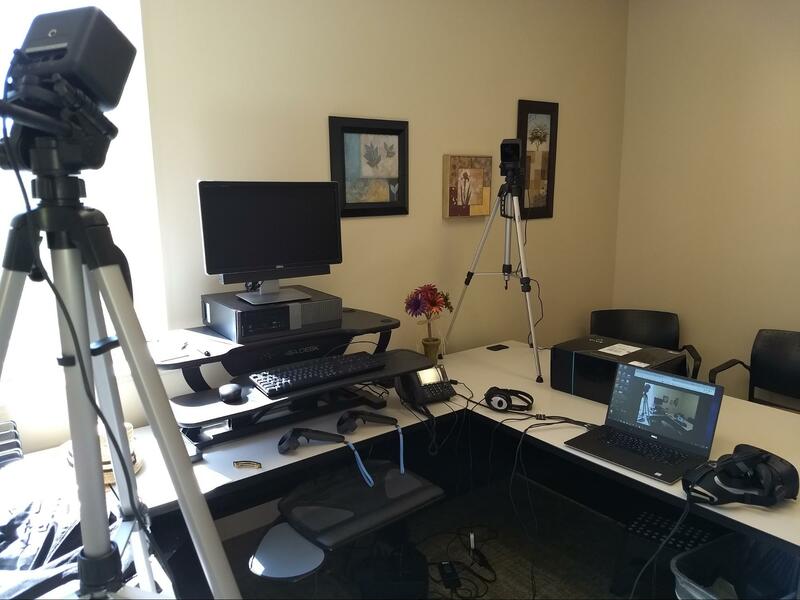 The installation pictured in an office uses a couple of tripods (not included with Vive) on a desk for a basic seated experience. To use it to full capacity, the minimum area of clear space needed is 5 x 6.5 feet, free of any furniture or clutter. The computer needs to be placed so that the cable attached to the headset will reach from anywhere in the “play area”. 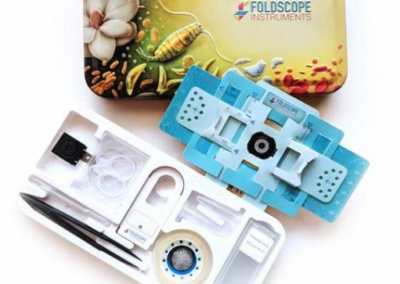 Because of the complexity of the use and set-up the Vive is probably not a practical solution for a student lab situation, but is a good way for colleges to review available resources for science field trips. 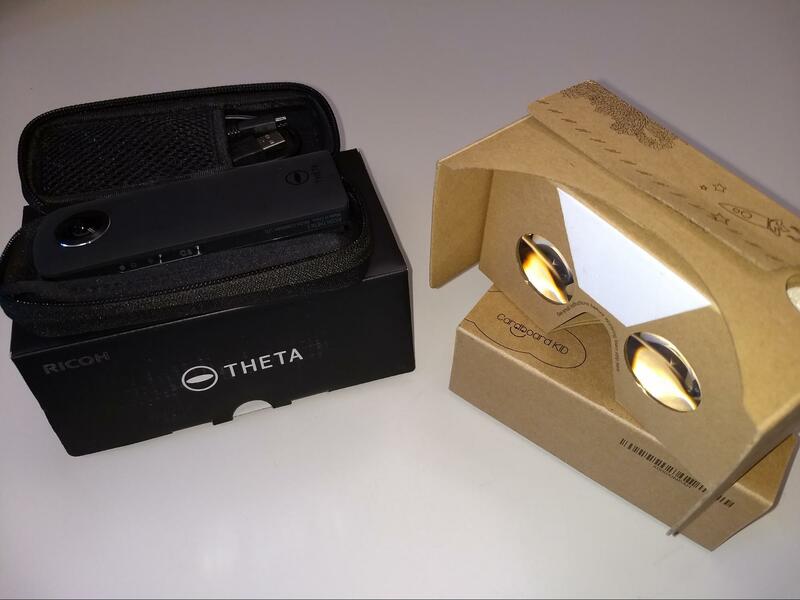 In this project, CGCC also received a Google cardboard headset, which seems more practical solution for all students, since it uses a standard smartphone. When used with a 360 camera, students could have a more active role in taking and sharing these kinds of resources. 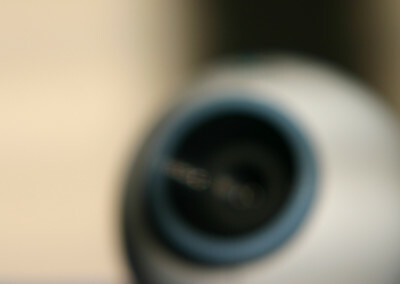 In the procurement phase of this project, the Information Technology Department at CGCC researched the best computer for the Vive headset that would fit within the guidelines of computer purchases at the college. 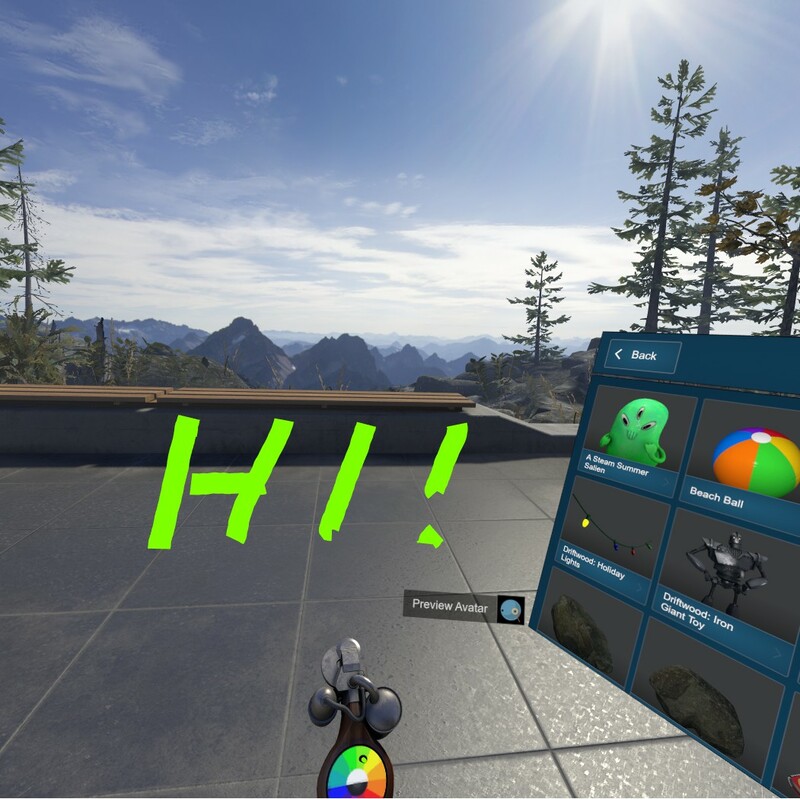 The laptop has been tested in a wide range of virtual environments with the Vive headset and performs well, as shown from the previous snap-shots. The resolution and immersive experience needs to be experienced to really appreciate. Reflecting on the “old days” in Second Life, interacting with objects feels much more real because of the quality of the visuals and because there is no need to keep repositioning the avatar. The controllers are your hands in this environment. 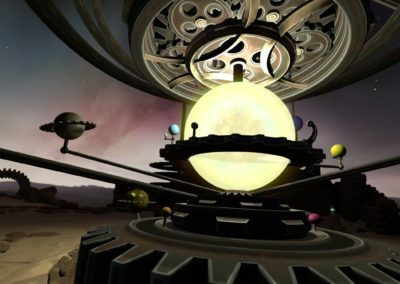 A couple of virtual reality experiences, like the readily accessible SteamVR tutorial and Google Earth VR are good free introductions to the technology. During the exploration I learned that, despite the computer being suitable to this project, there are some games that will not play. 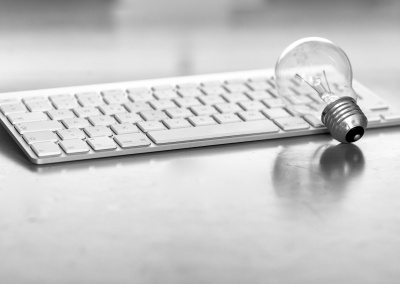 Since this project is not focused on games, it is not important, however, it was a lesson that if you do plan to play off-the-shelf games, you would need to invest in a more powerful computer. 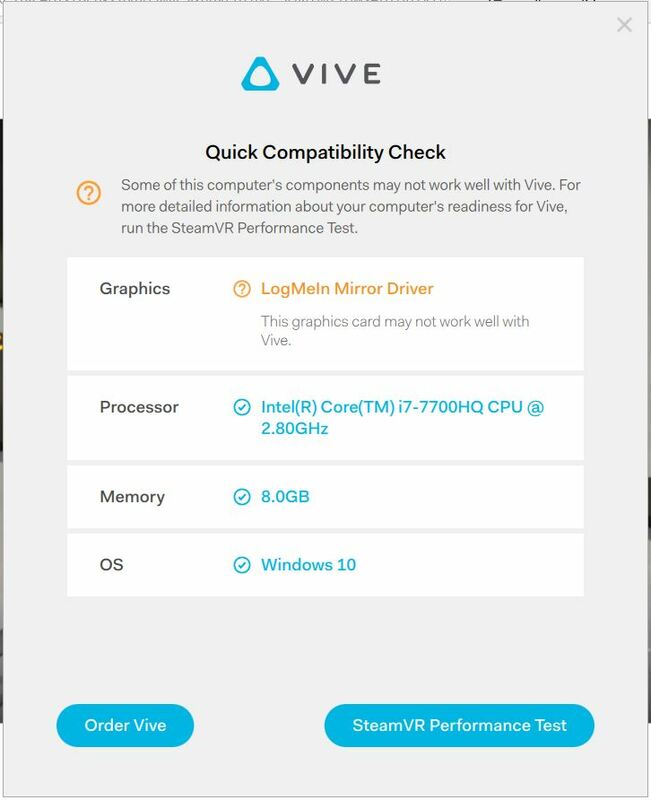 Vive does an excellent job of describing what kind of a computer you need. There is a quick compatibility test, which in the case of this laptop, was not entirely accurate because it misidentified the LogMeIn driver as the graphics card (see picture below). 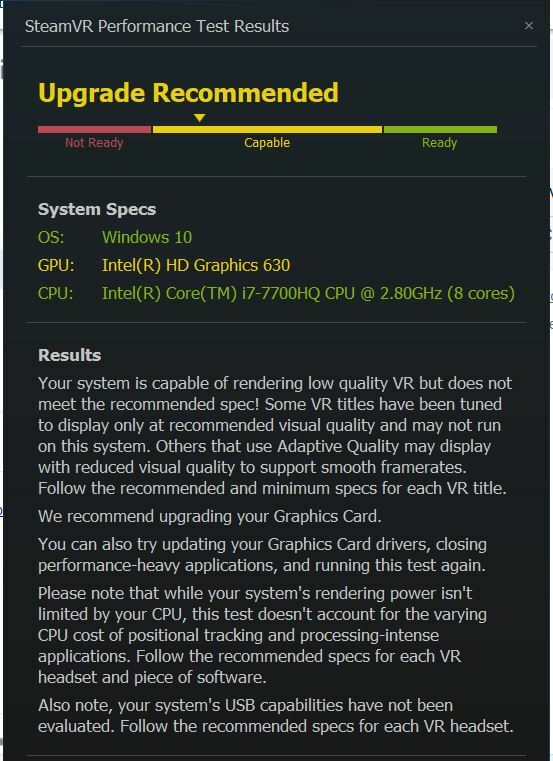 The more accurate SteamVR performance test (see picture below) recommended an upgrade in drivers, which was done, and that did improve performance. Again, the laptop may not have passed the “beast” test needed for some games, but it is good to know that the reasonably priced laptop used in this project provides a way to participate in many virtual reality experiences. 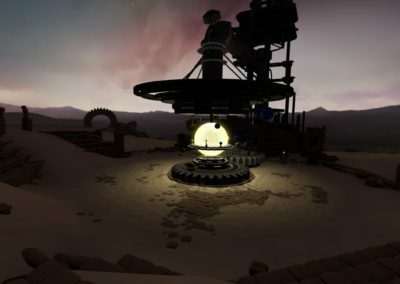 With the laptop computer, Vive headset, and Google Cardboard, CGCC plans to continue exploring science trip possibilities using virtual reality. A project in cooperation with Portland Community College has been initiated for geology labs. No specific timelines for activities have been established yet, but we hope to kick off this project by fall of 2018. © 2017 Oregon Community College Distance Learning Association. Some images on this site are licensed under Creative Commons licenses.